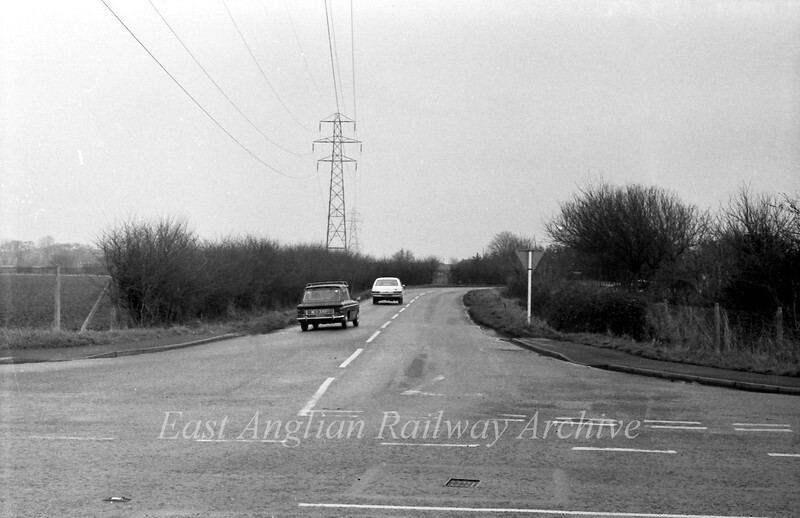 Arbury Road Junction with the old B1049. The new road comes across the field to the left and bisects the old road near the bend in the distance. 22nd February 1976. The scene is unrecogniseable today.